Enjoy the notes!!! Most important let's all LIVE IT! May the grace of our beloved Babaji Always be with us. In south India, there are temples based on the 5 elements, each of the divine element can be found there. Planning is for future, important to be in the now – no past, no future. Nature is in the NOW. ShivYog is ancient wisdom combined with modern science. It's to heal oneself. Also to teach the power of god within you. Shivoham shivoham - If I have the power of Shiva, I HAVE to be successful in life. Receive the grace and power of Sanjeevni- Babaji has come to give it to you which has been passed on from the siddha gurus. Whatever level you want to reach, it is within you. Cosmic power is infinite - there is abundance – Sanjeevni Shakti connects to cosmic power, cosmic connects to Shiva consciousness and Shiva consciousness connects to Shakti who in return gives prosperity, abundance success. Tum chahte kya ho? Think, analyze …what is it?? Whatever you want the pure wisdom awakened within you will make you achieve. You are an immortal being, you can live as long as you want. Fate, destiny is changeable. Sadhna is purification and ascension to clearing the old karmas. Purpose of every human being is to raise consciousness – journey of "Nar" se "Narayan" Tak. We are born not to suffer but to experience the "satchitanand" – you are the light, you're the true identity of unconditional love. You are here not to have fear, anger, disease or suffering but to just give love unconditional love. ShivYog is the path of knowingness, whatever you do, be aware. The moment you complain you start vibrating low. When you give thanks you start vibrating higher. Tum ajanme ho, tumhara koi janam nahin hua. (You are birthless, you have never been born). You create "Aham Brahamasmi" – whatever I want I create – pura brahamand tumare bheetar hai. Awaken the Shiva within you! Before sleeping call him and he comes. Silence is the language of truth, attune to the language of silence. ShivYog is the science of God – which Babaji has come to teach – the science of healing, happiness, success and prosperity. It is to be FELT, not to be seen or held. Learn to unfold the infinite potential within you. Humans are the only species that has the power to CHOOSE. You have the power to choose wherever you want to reach, whatever you want. You have to decide what you want to become. Become trikaaldarshi- past, present, future. You create, you experience, you release. "I am the creator of my own destiny." You choose your clothes, your food, choose your life also. Always find the seed of success in everything. You have the power to choose attitude. Manush (human) yoni (life form) is karma yoni – other yonis is bhog yoni. You choose what you want to derive from this shivir. Whatever you want is available in the universe in abundance. Whatever you choose to believe is available. Humans have all sensory powers of all the animals – we have just forgotten about it. Widening your wisdom is ShivYog. You are not living in the universe, the universe lives in you. Every cell in your body has a mind of its own. Every cell has a consciousness of its own. You follow your own self, you have your own soul agenda. But for that you need to know your own "SELF". Without experience everything is false. Whatever happens in your life, you are 100% responsible for it. In every situation just give LOVE. Sab santh ek math – ShivYog says. "I choose excellent health for myself" "I choose prosperity for myself" "I choose wonderful loving relationship for myself"
Find a reason to be happy, whatever situation in life. 95% is reaction. It is upto us how we react to situation. Our reactions make our destiny. Har Haal mein kush. In any situation find the jewel of success. Mann hi karta, mann ki bhogtha. 5. Anandmay kosh - supercausal body - blissful only positive energy here. Silence is the language of truth, attune to the language of truth. Atma = me & Paramatma = Shiva. Shivoham shivahom shiva swarpoopam. Nityoham shudhoham buddhoham mukhtoham. Earth is 3rd dimensional; rest all many dimensions around. Every human is multi-dimensional beings. Whatever you wish for write in your "Golden Book" and read it before sleeping and before meditation – not hurriedly, not mechanically. Read it, feel it emotionally and give thanks. When during turiya avasta you can say "tum chahte kya ho"(your desires). Your very purpose to come to this earth is to give "love" – tu pyaar ka sagar ha. Fact : scientific study being done on plant. Two plants were kept – in front of one plant negative words were spoken or just gone in front of it in anger. Within few days the aura of the plant started shrinking. Every time the person approached – plant started to whither – aura shrunk. Don't be like that plant. ShivYog is giving love & receiving love. If aura is closed it won't register the words being said. Shouting at children to make them wonderful doesn't work. The more you give love more worthy of Shiva and getting grace from the guru mandala. Just give love and only love. The cells have a mind of its own, every cell has a soul of its own learn to communicate with the mind of the soul! Send love to every part of the body, to the consciousness. Disease happens when here's dissonance in the cells . Intention should be: I am sending love to the consciousness, to the soul, I am sending love and gratitude to every part. The real power lies in unconditional love, humbleness and gratitude. When the ego is there, you make yourself finite. When you are nothing you are infinite. Give love and gratitude "unconditional love" everyone has a soul. Respect everyone; see Shiva/Shakti in all. Relish happy moments, be thankful. Give thanks. Anyone who flows with the nature merges with the universal consciousness. If you want to become one with God, you must become what God made you. No shouting no scolding – practice it. Get the work done with the power of unconditional love. Anger means energy drained out. Humbleness eliminates ego. Ego is the worst enemy. Tree story: the tree with the most fruits is BENT – that's humbleness and the tree which is standing straight – has no fruits. Trinity in every religion – creator, preserver, destroyer. Panoh kritya – utpati – paalan – sanghaar - Dakshnamurti (guru), anugraha. Jeevatma becomes paramatma. Birth, living, death, immortal, boddhitva. If your consciousness remains in the same consciousness as you're born then your horoscope comes out true – whatever is written. The 3 things of Shivyog – Sadhna, Seva and Sankirtan. Focus all your energies on what you want, focus all your energies on your goals. Desire is the force that makes you move. Remember "I am not a physical phenomena". Do sankirtan at home. Keep one room for meditation. Think about what you want. Do not think about what you don't want. Define good health. What is good? Become good, pure and simple. The past doesn't matter. Change it NOW! Prana body – etheric body which is exactly same like real body. Story : Olympic diving - Girl dived and missed it by a few seconds – coach shouted and said "Let me show you what wrong you have done. Let's rewind and see – girl refused to see it: She said she doesn't want to create the same neuropathway – she wants to create a winning neuropathway. 1. Suffering - which is not the good way. Mantra gives positive vibrations; keep chanting. Annadaan – is the biggest daan. Real life story: Baba ji went to an orphanage out of india – asked children what they want to eat? Kids said KFC – he got them that. "Why should I impose my vegetarianism on them?" Give love make them happy. Whole life is a lesson to be learned. Scriptures say Mahamrityunjaya mantra is supreme sadhna. Remove obstacles – om gam ganapathe namah – soft effect. For a blast effect say vakratundaya HOOOOM! Self confidence – hreem – shakti mantra. Erase all karmic factors. Root cause of unwanted things in life. Once you erase from within ALL IS PRESENT. Better to do sadhna which is ALL IN ONE. "Mahamrityunjaya mantra" Sadhna. Strengthened our sadhana. Shakti will flow from your 3rd eye so only think what you want. Thoughts will materialize into physical manifestation. Sadhna – what baba teaches us. Seva – selfless service (Nishkaam seva). Sankirtan – dissolving ego – singing. Dhyan sankirtan is communication with God. Emotion is your power. Use your emotions to grow spiritually, achieving your goals, connecting to the Supreme and not to create miseries for yourself. God is divinity. God is the purest of the pure positive energy. Be clear of your fundamentals. Become very honest in your expression. Every gesture should be truthful. It will erase all phobias, negative physic impressions and all wrong programmings. Law of 3rd dimension says opposite exists - hot-cold, dark-light. So if disease is there, so is the antidote for it. Placebo effect is always good. What you see with your eyes is illusion. What you see with 3rd eye is the truth. 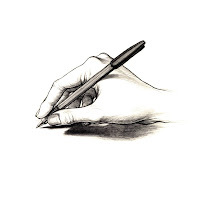 When you visualize – can you draw in future tense? Always present tense, present moment – with thanks, I am grateful. My business is this much, I am grateful. See that it has already happened, see it happening. Emotion creates vibration which creates energy which turns into manifestation. Whenever you wish for something it happens. Just believe in the sanjeevni shakti. Emotionally feel it. Start believing whatever you believe you can seek that. You must create what you believe in creating. When you meditate the yantras get activated. Put shree yantra on top and below of golden book and keep in altar. ShivYogi creates, he knows he is the creator of his own destiny. When you sulk you are complaining. Belief and faith – "Yes, I will get what I want." Abundance in the universe. Learn to tap from the universe. Before sleeping and before meditating. Whole night it enters your energy and vibrates. Tell Lord Shiv-Shiva – please grant me the wish. 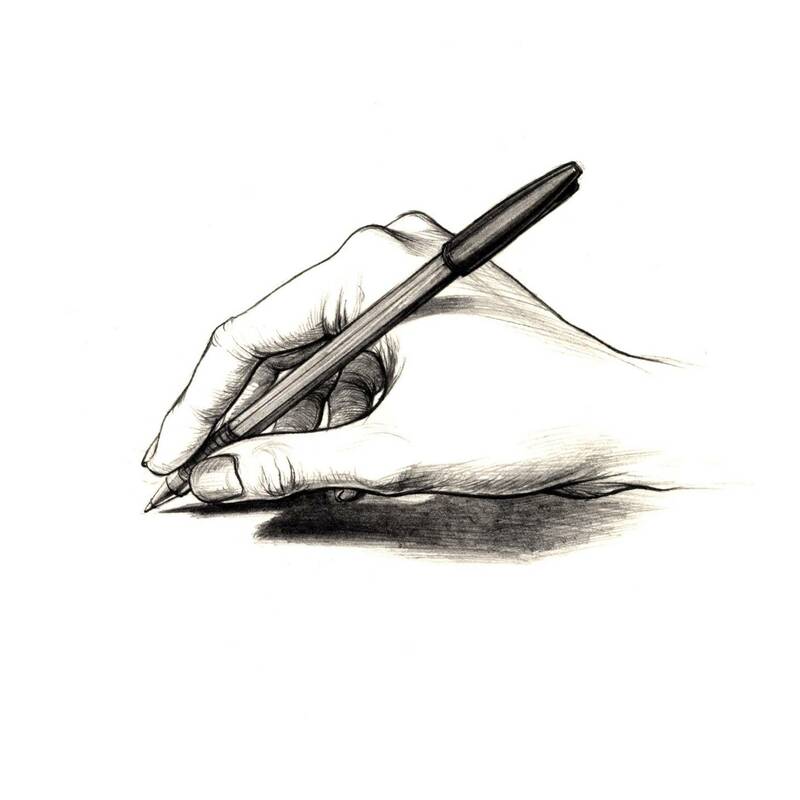 Lovingly read it – Whatever you write only in present tense and positive. Create neuropathway in physical body. When you start believing sanjeevni helps to create a new neuropathway. Acknowledgement is very, very important. Acknowledge each and every part of your body. Recite the beej mantra (given during siddha/shambhavi) – touch the chakras and say. Aapko dhyao, aapko bhajo aapme aapke Ram. 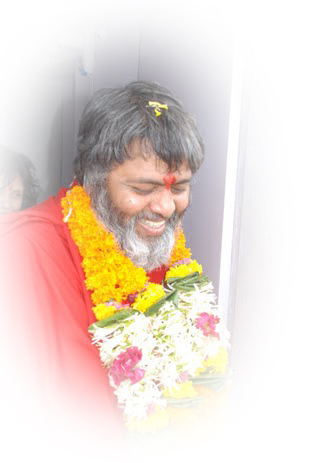 Antar yatra – journey from finite to infinite = ShivYog. Strong positive energy disintegrates negative energy. Antakarna yantra – while meditation – 3 yantras under the bed – head, middle, feet. Shree yantra - as many as you can – prosperity, abundance – especially must put on computer. Activates all chakras. Mahamrityunjaya yantra – removes all sickness. Emits all positive energy. Sumangal yantra – kept at entrance gate with 2 vastu matsya yantra on each side 1. Correct the energy – send sanjeevni to all places - make the intention. Gyanamay kosh controls mannomay kosh = karmas accumulated controls thoughts. Sadhna erases alo of accumulated karmas and negative physic impressions. Resolve and let go of all the unresolved issues in life. Bring a quantum change in thoughts. If one is positive, has thought of faith and belief, and conviction in oneself, s anchit karmas are released and there's a vaccumm. You have to consciously replace with tum chahte kya ho – replace what you want with 'what you already have. Happiness, good health, success, loving relationship is there within me. Be very careful now "Tum chahte kya ho?" now watch your thoughts , now you are ready to analyze. Bring only what you want, think only what you want, you are creator of your own destiny. Identify your destiny, write it in golden book. The secret of looking young – no need of any anti-wrinkle cream – if you want to look young start loving. The relationship of unconditional love with all. Because you want to experience love you have taken birth on this earth. Even with God – meditation is giving love and receiving love. Ecstasy. Tendency of hopelessness - remove it. Everyday should be an excitement. Think about what joy thing to do. Activate the emotion of love. Mile toh khush….na mile toh yaad mein khush. Recite mantra at any time. Inhale and exhale mantra – Guru Nanak said do not waste any breath. Swasadhi mala pe simroon mai tera naam. 21 days practice it. No judgement no if's or but's – don't ask questions, just implement – just receive the grace from Babaji – instead of creating of doubt. Bio-ethric energy – create the feeling of Love. We react horribly or lovingly – choose your reaction. Feeling of love – regenerating. Feeling of hatred – degenerating. You can get anything in life you want, if you help others get what they want. Morning is the base - you are creating foundation – 1 hour. Chant the mantra – invoke the energy and move the energy around the body. Do not take judgmental decision. Feeling of love only – no complaints. I am not this body. I am the soul shivhoham. Sa shiva soham hamsa hamsa shiva soham, soham hamsa shivaForgiveness practice it pray to god bless all with good things. Yogi's meditating emit golden colour light. When we meditate we heal, when we heal we get the grace of Lord Mahamrityunjaya. Self healing – enter into that organ and send healing. The self has the power to do whatever the mind wants. Whenever you meditate – call and always the ShivYog masters or Lord Shiv-Shiva himself will come. First you must calm down – total peace – inhale exhale deep breath. Utmost silence- then call all the masters. Ask "Raise my vibrations" – request "Make me ascend" and you will find you'll rise up. Ask – "Bring him to me." You will have wonderful healing experiences, materialization experiences and most importantly spiritual experience. Relax and create emotion of love and gratitude. Sit straight take deep breath. Turn on beej mantra CD (given during siddha/shambhavi). "Please come and take me to ShivYog Samadhi. " "Raise my vibrations and ascend me to the light take me to Lord Shiv-Shiva please." "Please bring me to them. I want to feel them." Jis vidhi rakhe us vidhi rahiye! Shri Lalita Tripurasundari – it's the sadhana of Shakti and Shiva. Merging of both is Sri Vidya sadhana. The Meru/Sri Chakra has 9 triangles in the pyramids form. 4 upwards – Shiva and 5 downwards - Shakti. We merge and ascend to God. Advait sadhna – there's no 2 only one. Guru remains with the disciple and reveals the secret of the sacred sadhana. Sri Vidya homam in house brings lots of prosperity and abdundance. Japa - listen to live mantra also helps. Real Sri Vidya sadhana deeksha – bound to change life. Sri Vidya is the sadhana of materialization and destruction of karma. Sri Vidya comes from the time the universe was created. The trinity prayed to this sadhana. Haigreeva avatar received the grace of Lalita Tripurasundari. Agastya maharishi created his wife with the help of Sri Vidya. Both were initiated by Lord Narayan and were given all the wisdom. All the saptrishis mastered the Sri Vidya. Bhagwaan Dattatreya – incarnation of the trinity, Parshurama avatar meditated on Sri Vidya. Guru is the one to show you the truth. Lord Dattatreya initiated Parshurama. Siddha parampara – Lord Datta is master of all siddhas. The one who masters ShivYog sadhana gets the art of materialization. Lord Buddha appeared to show the path of love. Become like a child – forget the intellect - kyon, kaise hoga. Just become like the child and ask from Lord Shiva. There are 3 energy meridians – which are most important. It is parallel to the spinal cord – which is sushumna nad, then Ida and Pingla nadis– which goes criss cross. Left – ira nadi – moon. Right – pingla nadi – surya. All chakras originate from sushumna nadi. Consciousness raises through sushumna nadi. 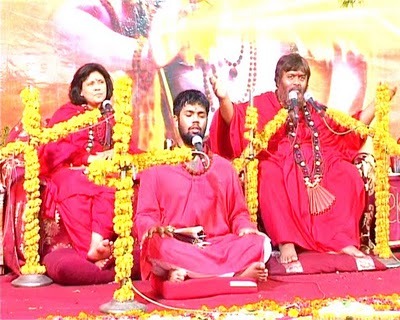 Sushumna nadi connects Mooladara to Sahastrar chakra. Kundalini shakti/chitti shakti remains in the sleeping state. Taking birth consciousness is sleeping. Shakti is in the sleeping state in the Mooladar chakra. Sushumna nadi stores our karmas. Male and female energy of the cosmos – Shiva-Shakti. Shakti is given doorway to sushumna nadi. When a person takes birth his kundalini is stuck there. Until kundilini is not awakened you are not awake. You will find a sensation in your body. Second, you are born in spiritual chakra. Vishnu granti – person can pierce his own body. Mooladar to vishudhi – all chakras carry all 5 elements. Swadhitsthana – Bhuva loka – mantra of self - Gayatri mantra. Must master your swadhistana chakra. Astral plane , pitru yoni another being – Pitru lokha. You are present on planet earth and you are also present in another loka within you. Whenever there is disturbance in life any issue – go deep inside. Universally you will find there is obstruction. Sanjeevni enhances your energy and dissolves the obstruction. Your intention is very important. Source of magneto energy is unconditional love. You vibrate at a higher frequency. Love enhances electrifying magnetism. You must purify yourself always be in this state. The state of unconditional love. The moment you act out of ego, your divinity comes down. Ego, fear, brings down energy. Everyone should consciously project unconditional love and sanjeevni. More projection of sanjeevni - more power of sanjeevni. I don't have to expect anything in return. Just start giving love and feel happy. When you feel that, you increase the electromagnetism and you end up dissolving the accumulated karmas. If you expect you only should expect from HIM. Ascension is important. Every disease is because of hatred. Sri Chakra attracts unconditional love, physical body, 5 elements. ShivYog says you are made of 7 elements. Purity of the 7 elements within you will bring the purity in every aspect of life - Relationship, success, abundance, all. Every time you meditate ascension takes place. The purity will bring the change in your life. Believe in the positive changes. Har haal mein khushi! Teri khushi mein meri khushi. "I open my soul so your soul can come in me. I open my heart so your heart can come in me." When you do dhyana, talk to her (Maa), believe in her - "Your wish is my wish. Your happiness is my happiness." Sankirtan – feeling of love for HimThese 3 things bring success and abundance. When you have no ambition in life - life is meaningless. Love for god, purification all this is ambition too. You must be a seeker when you seek you have a direction. Bhog and moksha both are desire. Sadhna se bhog, bhog se vairaagya, vairaagya se moksh. Sansar se bhog – bhog se asakti, asakti se advagati. You need urdvagat. Every act of a ShivYog sadhak should be an holistic act. Loving your family members should be a holistic act. Love without conditionss. Siddhas say never grow old, live life fully. Become one with the nature – swing like a tree, shine like sun, flow like the river. "I am that I am" emotion of unconditional love creates very powerful electromagnetism. When you have feeling of love. He is a dynamic personality – vibrant, more energy. Whole universe will be attracted towards you. Tumara koi shatru nahin hoga. In everything find something cute. You must become merchant of diamonds. In the mine many rocks pebbles are there but find the diamond which is hidden. Learning is a continuous process. In every situation you must be a student. Learn something good. Do not be scared of failure there's a seed of success in it. "I shall find the diamond." Success and failure find the diamond and make it a win-win situation. Om mani padme hum. Find the jewel within. The mani is there within you, you have to search inside and find it. Premyog, bhaktiyog – do atman chintan. Is your behavior irritating or loving? If you want to remain young, every thought should be emitting love, every word, every reaction. Whatever you do will remain with you. Why you want to worry about his karma. Remain like a lotus. Lotus grows in mud, not even drop of mud touches it. Do not connect your emotion with his behavior. We put that person in our own consciousness. Arthritis comes when people don't believe in themselves. Believe in yourself. You are not the body, mind. I am self – Infinite. I create - Aham Brahamasmi. Should never doubt your own capabilities. Visualize and create strong belief. Feeling of love and unconditional love. Whatever you want to achieve, just review. Feeling of love or uncertainty? Opposite of love is uncertainty, irritation and anger. Is it irritation or anger for the disease or love for healthy body you choose? Any strong feeling will remain with you. Jo tumko chaye wohi sochna, wohi feel karna. Jo tumko nahin chaiye kabhi na sochna. Whatever emotionally you are feeling, project love to strengthen it. Bigri baat pe sanjeevni bhejna. Always the feeling of unconditional love remain in you. Whatever you want to achieve create feeling of love. Be very peaceful. When we get irritated we break the energy. Replace irritation with unconditional love. Yogi ke kapal se amrit tapakta hai. Always in the state of bliss – satchidananda that's the true identity. Activate the feeling of love to meditate. ShivYog is a way of life to experience bhog and moksha. ShivYog is a way of successful life. The mission of Babaji's life – everyone must purify and forget about small things. Doing sadhana everything is transformed. What you are at the time of birth, you are not now – the death occurs. Birth again. Even if there's no problem – people make problems. Give unconditional love to your family. Be ready to walk further. Law of nature. Like energy attracts like energy. Powerful energy transformation. If some of your loved ones are not transformed. Others might drift away from you. There's a vacuum and other like energy people will come. Learn to "let go". Problem is parents are so attached to children. Want to make them follow the same path. Send all love, accept all. Love and detach. Infatuation brings sorrows. Relationship is energy. Different energy will break relationships. When your path is different and someone else is different, get ready to part different ways. Anyone following the path of purity is his child. Feel safe because you belong to GOD. A lot of shifts happen in life. Anyone with purity will be attracted to you. Those drifting away, let them. Others will come. As you will grow in life, changes are bound to occur. If negative is attracted towards me, it is not their fault or luck. Time to do self analysis. Your thoughts are probably negative or vibrating at low energy. Become positive; remove any negative thoughts. Only love can be generated from a ShivYogi. Human beings are the only species that have the power to choose. You are unconditional love from your speech, only unconditional love must consciously flow. Secret of self realization – you become what you are. We are Satchitanand. If every act and thought of mine projects love – its urdvagati – if its downwards its advagati. You are born to experience the divinity of God. You are human in all your act humanity must show. Whatever gives you peace you will do that only. With an open heart do sadhna. ShivYog has the power to heal body, mind and soul but you have the power to choose. ShivYog says it is easy to bring success, health and abundance. Never compare yourself with others. Compare yourself with yourself. What I was yesterday am I more purer today? Everyday look forward to unfold the infinite potential. Every day you must grow.